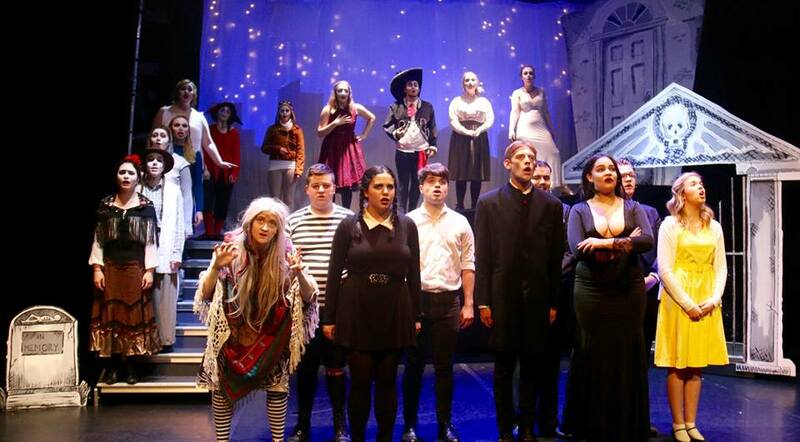 On the night of Wednesday 13th June, Canterbury Christ Church University was proud to host the opening performance of the comedy musical ‘The Addams Family’, the culmination of many months of hard work and dedication from the School of Music and Performing Arts. The result of this hard work was evident from the very beginning, as the professionalism of both the cast and crew was apparent. The performance was well rehearsed, however did not suffer from a bloated over-indulgence that this can usually be the result of. Instead, the plot was fresh and the play flowed with an unburdened ease, the result of confident acting and immaculate scene changes. The script for this play was original and well presented. Continuing the story of the popular television family, the plot centres on Wednesday Addams, the families’ eldest daughter, who has fallen in love with a boy from a seemingly normal middle-class background. This connection results in the Addams Family hosting a dinner for Wednesday’s guests – the boy, Lucas and his parents – whilst trying to uphold the façade of a ‘normal family’. A plot in this style is greatly suited to a theatre performance such as this, as it allows for a freedom of comedic interpretation amongst the performers, and does not require an extravagant set design, allowing the audience’s focus to fall on the unfolding chaos of the Addams dinner party. The cast’s dedication to their roles is deserving of a special mention. The characters were portrayed with a flawless realism, producing an incredibly immersive experience for the audience. Indeed, this was most notable in the supporting cast, in particular the red Court Jester from amongst the Addams undead relatives, whose joyful and light persona did not falter, even when not in the spotlight. This sentiment can also however be extended to the cast as a whole, each of whom portrayed their respective characters convincingly and easily, as though they were simply extensions of themselves. This provoked an endearing realism that aided the overall impact of the play, meaning that the jokes were delivered to greater bouts of laughter, and vocal performances were made all the more powerful. The live band as well, although they could not be seen, contributed a great deal to the overall energy of the play. Their performance was light and exuberant, complimenting the already impressive voices of the actors well, who themselves were able to enthral the crowd with perfect vocal performances. The score complimented their accompanying scenes well, with clever song writing meaning that each song was just as memorable as the last. To conclude, the University’s performance of this musical was of the utmost quality, resulting in an experience that was at once both endearing and compelling. 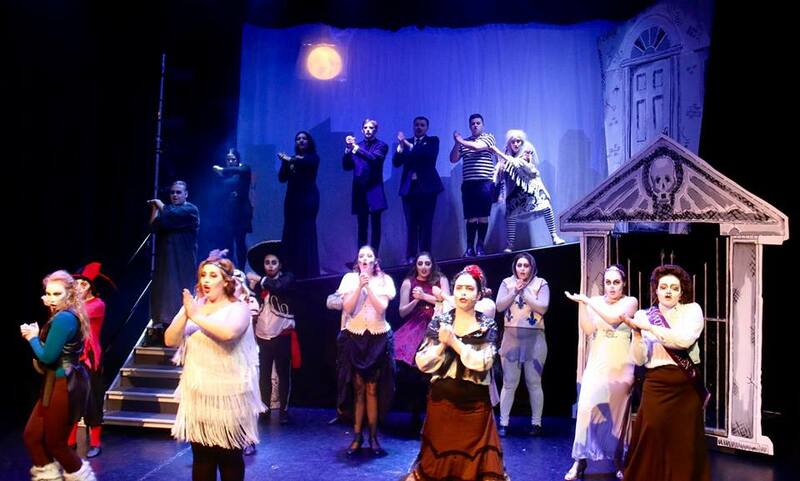 The Addams Family musical ran for six performances, between 13th and 16th of June 2018.